Very professional from start to finish. I asked for a quote which was organised immediately. The timeline was exact and the work carried out very professionally. I was delighted with the overall result. Surbiton Glass recommended the right doors for the job, and not the most expensive available, which other companies bidding had done. On the fitting, there was no mess, and no damage – a really professional job. We did not know exactly what we wanted when we went into Surbiton Glass. Andrius was very helpful in guiding us and we chose Schuco doors, which we are delighted with! 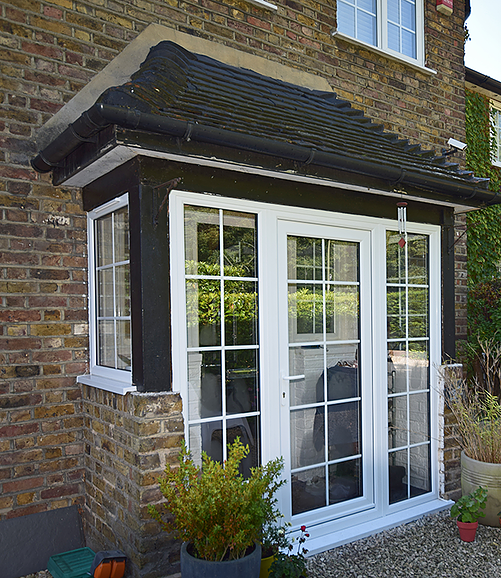 They were fitted on time and Surbiton Glass were very responsive when we needed an adjustment. The doors are proving very easy to open and shut and we are also happy with the level of security that they provide. Really happy with Surbiton Glass. A very competitive quote. The job started exactly on time and finished exactly on time. The fitters themselves were very professional, polite and friendly, and meticulous about the quality of their work.